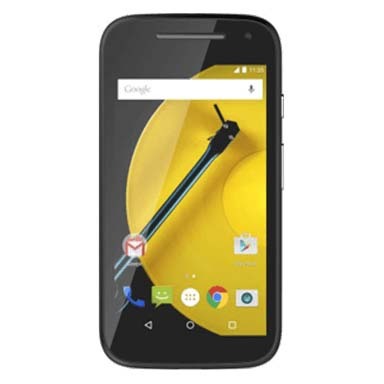 For a price of INR 4,449, the Motorola Moto E (gen 2) 4G was a fairly good deal for to consumers. It came with a 2390mAh removeable battery and measured 129.90 x 66.80 x 12.30. The phone had a 4.50 inch display with a resolution of 540x960 pixels. It is also a single SIM, micro-sim phone. With 12.33mm thickness and 143 grams in weight, this phone came with a functional design for its price range. Of course there are some cons to being a budget phone. The 5 MP rear camera may have been be satisfactory for some buyers, but it mostly leaves one underwhelmed, especially in today’s times. The Motorola Moto E (gen2) was launched in February 2015, so it has been quite a while since it was even taken off the market. If you’re looking to sell your old Moto E 2nd Gen, Cashify is the place to be. Why Sell Your Motorola Moto E 2nd Gen 4G On Cashify? 1. Head over to Cashify’s website and enter in details about your device. The portal will ask you general questions about your Moto E 2nd Gen – such as those relating to warranty, accessories, its condition etc. sell old phones while sitting at home. 3. Cashify’s agents will receive your used mobile from your doorstep and make the payment in any mode of your choice - cash, cheque or even e-wallets. sell mobile phones and other gadgets online for instant payments on pickup. Get started now!